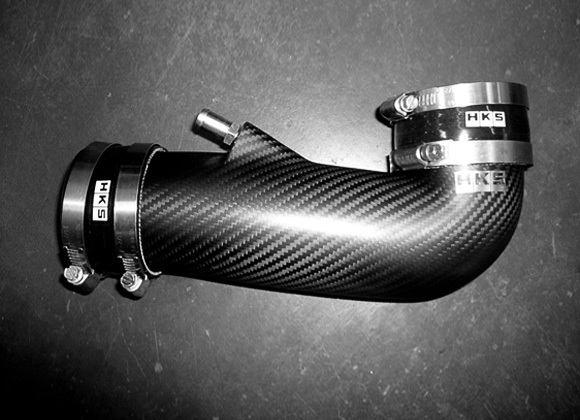 Carbon fiber was chosen for its high tensile strength and beautiful appearance. The twill weave emphasizes each strand of carbon and delivers a premium motorsport appearance. A Matte top coat is used to reduce unnecessary reflection and emphasize the natural beauty of carbon fiber. 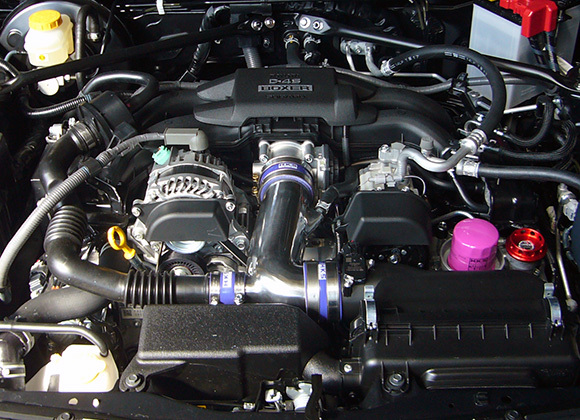 The intake efficiency is higher than the stock, but is still compatible with stock engine management. 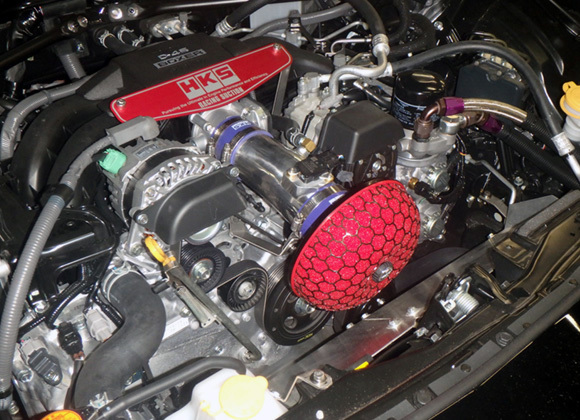 Variable suction enables well-modulated sound between a factory suction and Racing Suction. 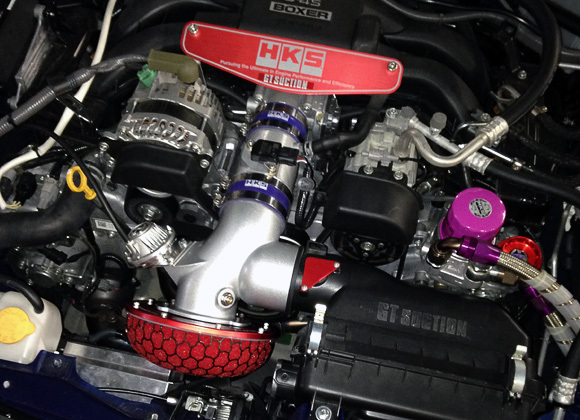 "GT SUCTION" is a variable intake system to suit driving conditions. Upgrade the stock suction hose to aluminum pipe without removal of the sound generator. This product was designed to provide the most appropriate sound. 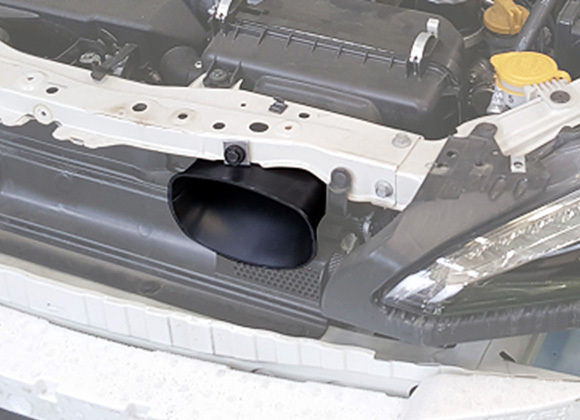 The suction pipe improves the engine compartment appearance. Installation of this product does not affect the stock control system. The density gradient structure where filter density becomes higher with each layer ensures all sizes of dust and other particles are caught in the most effective way. Optimizing the fiber components reduces the ventilation resistance. Even though the intake resistance is reduced, the dust collection capacity is higher than previous model. (Collected more than 95% dust volume during in-house testing) Reliably capturing dust to provide clean air to the engine. 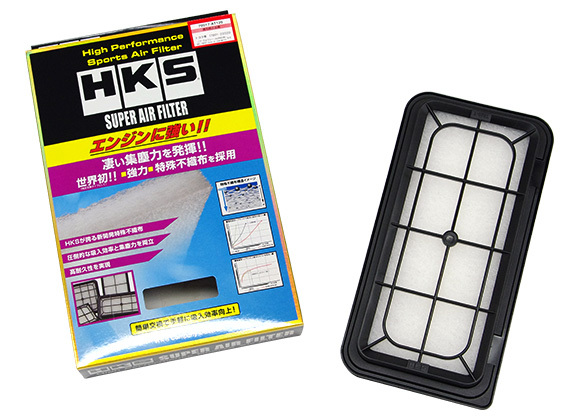 Even after long-term use of the filter, the intake resistance stays as low as new.